Blogger changed. I can't figure out how to make many edits that use to seem so simple. I have a hard time finding a post that I started and saved when I want to come back to it for some edits or completion. I can't figure out how to change links or add things. Its frustrating. We had our first Doin' It For Drew walk in Philadelphia last weekend. Seemed to be a huge success! 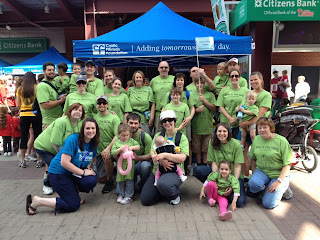 We haven't been able to actually attend a Philly walk yet but hope to next year or sometime in the future. Here's a picture of much of the gang who walked there. The Cincinnati walk is on the 19th of May and I'm hoping for as good a turnout of family and friends to walk with us. It means a lot to us to have our friends walking with us to show their support! I got a sinus infection this week. I have a bad feeling that means that someone else will be sick within the next few days. While I hate it when any of my kids aren't well, I really hope Drew doesn't catch it. Health here has been so good lately I'm afraid to talk about it. Funny thing about Drew is that whenever the rest of the house gets sick, he seems to be able to ward it off for a few days longer before it affects him as his white blood cells are naturally in overdrive fighting off the bacteria that his body seems to find and cling to. I've loosened up quite a bit since he was born. Back in the day (you know, 2 years ago), we didn't take him out in public to much, didn't invite many people over for fear of them bringing in germs and our world being turned upside down by a simple cold. There were things I thought that we'd never be able to do again. I've loosened up. I still clorox wipe tables and high chairs at restaurants when we go out to eat, and we use a lot of hand sanitizer. But generally I now think of them as just good practice. He's allowed to play at the museum or at a restaurant playland, but he gets cleaned off before he does anything else. I'm not terrified of him being out in public. All of our friends know and respect the fact that a simple cold could turn our world upside down and the don't come over to play if they are sick. But they do come over. And they do wash their hands before they start playing. We sanitize all of his breathing equipment before every use. We do hypertonic saline nebs twice a day every day in addition to all of his other medications. All that we seem to be doing seems to be working, at least for now. I know things change, but for now we will stick with what works. Masks at the doctor office and crazy cleaning lady when we go out to eat. All that said, I did relax. We are learning to live with this. I'm not terrified of CF like I once was. I don't like that we have it, not one bit. But there is more good than bad for us right now and our life and our family is our focus, not our CF. When I stopped being afraid of everything that could possibly go wrong, I loosened up. I focus on fundraising and on the future. I am not naive to what this disease can do. 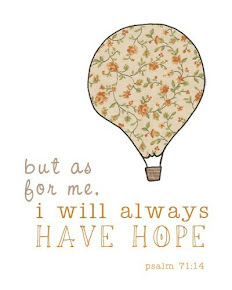 I'm just confident and determined to do what I can to find that cure. It's coming, I know its coming. My dear friends at Nielsen had a bake sale for Drew on Friday and raised $560!!! To date, I've raised $5,367 this year, falling just a little shy of my $7,500 goal. We still have our upcoming yardsale where I hope to raise another $500 or so. Last year I raised almost $12,000 and hope to rev up some of that momentum again next year and make even more than that. Overall, our Doin' It For Drew team nationwide has raised $11,888. My goal was $30,000. I will find new ways to get there, it may just take some time. There is a great new website that just went live about a week ago called CFTR2. CFTR2 is a website designed to provide information about specific cystic fibrosis (CF) mutations to patients, researchers, and the general public. For each mutation included in the database, the website will provide information about whether a mutation causes cystic fibrosis when combined with another CF-causing mutation, and provide information about the sweat chloride, lung function, pancreatic status, and pseudomonas infection rates in patients in the CFTR2 database with this mutation. Its a pretty cool website, you should check it out if you have CF in your life. If you don't, you will probably find it boring. That's all I've got for today! Hope this rainy April brings the promised May flowers! I had a really wonderful week. The kids all seemed to be getting along, sleeping regularly and generally not making me crazy. Jake started sleeping through the night (I got 4 out of 5 nights this week) so I was pretty well rested which definitely helps with the mood. Ella had some play dates on Monday and Tuesday and the other three all napped in unison so I was able to get quite a bit done around the house. I had two meetings at Children's this week as well, so getting out for a few hours on Wednesday and Thursday evenings was really nice too. I don't know if everyone was being extra nice and good and agreeable this week because next week they plan to unleash the fury, but regardless, I'm going into this weekend feeling really good about this past week. About a month ago, I got an email from Children's saying that I had been nominated for a Making Difference Award. It actually brought tears to my eyes! I didn't know who had nominated me but was just so honored. I don't do all that I do for Children's and for Drew for any kind of recognition, but it does feel nice to know that someone has noticed and appreciates it. The award ceremony was on Wednesday night and oh man was it a tear jerker. The evening started off with awards being presented to families who had lost children but gone on to honor their legacy by continuing to serve the hospital through the creation of a foundation in their child's memory. Next up were staff members who had been recognized for their outstanding work in going above and beyond their responsibilities to help patients and families. I received recognition for the work that I do as a Parent TOUCH volunteer. Then they honored patients and families who were nominated by staff who feel that they are truly making a difference in whatever capacity it might be for their children and others in the hospital. I was completely shocked to receive a second recognition from Drew's pulmonologist! I often feel like I'm the most annoying parent on earth, constantly calling with questions and ideas and signing up for every seminar and meeting and opportunity they provide. But through receiving this award, I feel as though they really see value in all that I'm doing for Drew. They don't think I'm being annoying, but rather diligent and truly making a difference for Drew and other kids with CF through my cooperation and participation with them and the CF Foundation. To take her time to fill out a nomination and write up why she feels that I'm making a difference makes me want to give her my award. These doctors and nurses and other caregivers at Children's are like no people I've ever met in my life. THEY are the ones who are making a difference! They, every day, go above and beyond not only for Drew but for me, to answer my questions and to make me feel comfortable. They aren't just doctors and nurses. They are miracle workers and angels on earth and my life has forever been changed by my encounters with them. You hope and pray that you never have to go through something like we've been (and continue to go) through with Drew, but going through it really changes you from the core. You think differently and appreciate more. You don't sweat the small stuff anymore. And gosh does it open up your eyes and your heart to things you never thought possible. He once ran a marathon backward, just to see what second place looked like... His organ donation card, also lists his beard. "I dont always run races. 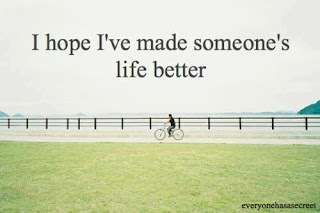 But when I do, it's to fight Cystic Fibrosis. And for the beer...I really like beer." Jonathon Rembrandt Kennedy (aka Curly), the most interesting goat in the world, will make his debut run in this year's Sly Fox Brewery Bock Fest Goat Races. A goat of many talents, Curly is dedicating his race for the 'bock to finding a cure for Cystic Fibrosis. 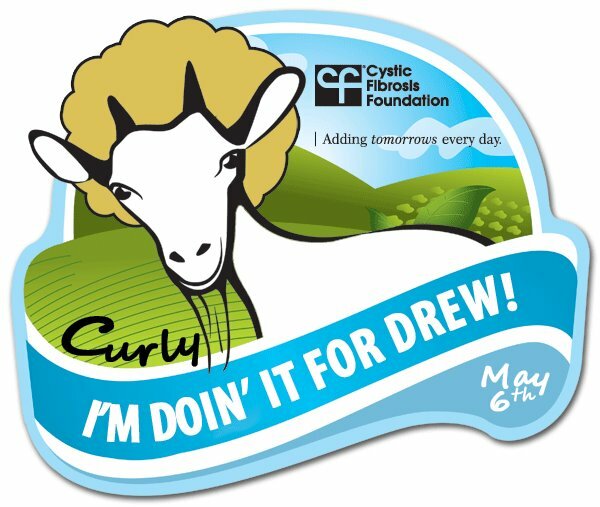 Curly will be "Doin' it for Drew," a 2-year-old suffering from the disease, and inspiration for Curly's own 'do. Visit Curly's tent at the race to find out how you could be "Doin' it for Drew" too! With our walk in Cincinnati just a little under a month away, I've decided to do something a little crazy give that my schedule is already reasonable full. I've decided to sell Tupperware for fundraising. I don't mean like having a party, I mean being a consultant. I'm hoping to keep it as mostly an online business with an occasional party here and there for an extra boost. If you host a party with me (which can be as simple as posting a link or emailing your friends an online catalog), you will get a percentage of all of your party sales donated to your team or charity of choice. If someone has a party with me and doesn't have a charity, it will go to CF. And from now until the walk, i'll donate 100% of my profit to your CF team! You can live in south Egypt and still host a party with me, its not limited to people in Cincinnati. So if you're looking for a quick and easy way to make some money for your team, shoot me a note and I can get you set up. If you don't want to have a "party" be it online or in person, you can still buy Tupperware from me and have CF get a kickback from it. Just use this link - www.my.tupperware.com/erinmoore. I'm doing all I can to raise money for CF. Can you help? Guess whose going to Disney!?! That's right kids, pack your bags because we're taking this show on the road! Not for several months mind you. And yes, this was a very random decision. In my recent internet perusing, I was looking at some things about the the North American CF Conference. This year it just happens to be in Orlando, so I threw it out there that maybe we should/could turn it into a little family vacation and BOOM we are locked and loaded! The conference is October 11-13, so we are going to drive down the weekend before and spend a couple of days at Disney with the kids. My parents, who we tried to plan a vacation with this summer but it more or less fell apart, have gracious agreed/volunteered to come down with us for the second half of the week and watch the kids at our resort while we attend the conference. It would be to much to try to take them into Disney while we weren't there, but the resort we will be staying at seems to have plenty to do, and our townhouse even has its own pool! I'm so excited, both for Disney and the opportunity to go to the CF Conference. Registration for the conference doesn't even open until July! If anyone has suggestions and tip for taking 4 small kids to Disney I'd love to hear them. Wanted to let everyone know about another little fundraiser we have going on right now too. If you like Tastefully Simple, place an order online and enter my name as the Host during checkout (Erin Moore) and 25% of your purchase will go to the CFF. I have such awesome friends who help me out with all kinds of great fundraising things like this! Evenings are busy round these parts anymore. Actually, most of the time is busy around here. I have dishes sitting on my dining room table from a very kind neighbor who brought us dinner last week, and in the last 24 hrs haven't been able to find an extra minute to walk them back across the street and thank her. I spent hours on the phone with insurance this week. I needed to blog to vent my frustration, yet haven't even had the chance to do that. Basic survival is about as much as gets accomplished, especially when you go through a debacle like I did this week. There is a special online pharmacy called the CF Services Pharmacy, catering specifically to people with CF. We have to jump through hoops with insurance because they want you to use their mail order pharmacy, but when you take as many medications as Drew does, the manufacturer programs and convenience of using a pharmacy specifically suited to meet your needs is important, its kind of worth fighting to get your way. Well, I guess it has been a year since I last had to go through this, but I called the pharmacy to order our monthly refills and was told our insurance was denying us because "maintenance" medications need to be filled through their 90-day mail order pharmacy. I explained that because our Medicaid coverage for Drew only covered a 30 day supply that we were requesting an exception like we had the prior year. It seemed like it would be easy enough since we had gotten the override last year, but 7 days and hours spent on hold and talking to a number of "resolution specialists" and still not having the medicines we need, I was wrong. Luckily we were able to get things mostly sorted out, but not without hours of frustration. Just another glamorous benefit of life with Cystic Fibrosis. The Philly Great Strides walk is next weekend. We don't have that many people signed up to walk which admittedly is a little disappointing. I think people get intimidated by the idea of fundraising, but we aren't even asking people to do that this year. Just come and walk. For $5 you can get a Doin it For Drew t-shirt. When people ask us how they can help, this is a good way. It shows us that you care and that you support us. And hey, if you wanna fundraise, I'm not going to stop you. Another fundraiser we have coming up are the Goat Races. My parents recently moved down to my grandfathers farm and then done gone and went country on me! Actually it sounds like a fun event - a local brewery had a big festival during which there is a goat race. Yes, like actual goats racing, just like it sounds. Anyone can enter a goat in said races, and the goat who wins gets a beer named after him for a year. What a brilliant way to raise awareness for CF! I mean if you were at a brewery, wouldn't you read about the beers you had to choose from or at least chat with the bartender about why a particular beer was called what it was called? I would! Speaking of fundraising, I decided today that i'm going to offer photo sessions from today through the end of the summer for $100, with 100% of the proceeds going to our team. I will be in Pennsylvania for most of July, so any friends and family who are interested in Cincinnati or Philadelphia please let me know so I can stick it on the calendar. You know, the calendar I described above as having negative free time. Hey, it's fundraising, it's worth it. My website is www.erinmoore-photography.com. Jake seems to scream his head off from like 7:30 - 11pm every night unless I'm holding him. Its not that bad, given that he's generally mild mannered throughout the rest of the day. It's as though from 7-11 he's saying, "Alright lady, it's my turn for a little attention. I'm quiet all day, just letting you know when I need a meal or a diaper change. Is a few hours of snuggle time and undivided attention too much to ask?". And he quiets right down when I hold him and we rock. It just limits what I'm able to accomplish, and with those being the hours that the big kids, you know the 2 and 3 year olds, are sleeping, it's the only time in a day that I have to do anything that I might want or need I get done. I miss the hours i use to spend surfing aimlessly on the internet after the kids went to sleep. I miss my opportunity to respond to emails and text friends. I get my blog reading done in the wee hours of the night while nursing, and sometimes can even squeeze in my celebrity gossip apps. And the whole Amazon "One-Click" ordering feature may very well lead to my demise. But Little Jake has other plans for me. Oh well. I can type a blog post from my iPhone with 1 hand, so something's being accomplished! Happy Easter everyone! The weekend has come and gone and so has the two weeks that Martin was able to take off to spend with us and the new baby. It was a wonderful two weeks that felt like two months and today was an abrupt end to the luxury of having him home with us. I'm on my own kids, wish me luck! First things first, a quick matter of business to take care of. I need your help asking Senate to support this important new act. The Expanding and Promoting Expertise in Review of Rare Treatments (EXPERRT) Act will encourage more collaboration, helping reviewers better understand the rapidly changing scientific landscape and ensure access to the best, most complete information when making decisions about treatments under review. This will make the FDA review and approval process more efficient and help move much-needed new treatments into the hands of patients more quickly. Click on this link to send a quick, preformed letter to your senators! There is another CF meeting coming up on April 19th at Cincinnati Children's, discussing the latest advances in CF Science. Dr. Clancy is presenting so you can believe I'll be there! Frankly, I'd be there no matter who was presenting, but I do enjoy hearing Dr. Clancy talk. I need to go back to the news we got last week about Jake being CF-free. I'm so so glad that he does not have CF. I am also so so glad that we didn't let the fear of CF win of over and prevent us from having another kid. So much has been said negatively about people choosing to have kids when they know there's a chance of them having CF or any disease for that matter, and I say let the haters hate, they aren't getting me down. There was recently this article published and news coverage about the parents of a little girl with Down Syndrome suing their hospital because their prenatal testing told them their child would not have Down Syndrome and had they known she was going to have a disability they would have chosen to abort her. AND THEY WON THE LAWSUIT! Is anyone as outraged by this as I am?? What the F is wrong with people? These people, in my humble opinion, aren't worthy of the title "parents". How can they raise a child with special needs when they are missing compassion and love for their child? I simple can't comprehend this. There was a great line in Grey's Anatomy this week too when the mother of a very sick young baby says,"So what if he's not perfect? Why does everyone think if he's blind or impaired or not a doctor he's not worth something!". Exactly. That's exactly my point. Its sad to me that there is another school of thought on this. I know I'm a better person today because Drew is in my life. He is going to grow up to be a contributing member of society. We value his life as much as any other and hope that everyone else does as well. Do we like that Drew has CF? Of course not. We wish more than anything that we could take away the treatments and the medicines and the doctors visits, but we can't. Its the hand we were dealt and I think we're playing it pretty well. 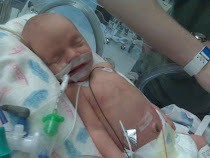 If we had had another baby with CF we would have dealt with it. It doesn't make me love them any less. There's a reason we were give this child and we're gonna make sure he's wonderful. When we were at the CF Education and Ronnie from Run Sickboy Run gave his speech, he talked about how much he hated when people called CF a "progressive" disease. And I think that it may have changed my attitude just a little bit. This disease isn't a game of luck. It's about taking your medicines and seeing the doctor regularly and preserving your health. The "median" age of survival with CF includes people who don't take their meds or see the doctor and people who don't work out or do their breathing treatments twice a day everyday. People who play by the rules have better outcomes, yet everyone is included in that "median" life expectancy and that's not fair. There has been 1 treatment that Drew has missed in his whole life, and it was the afternoon that he had his sinus surgery. That's the only treatment that we have missed ever. Its a top priority in our house and always will be. Skipping here and there is not an option for us. If we have to do them a little earlier or later than normal, that's fine. But once we make an exception to skip for dinner plans or for a sleepover when he's a little older, it will become a habit and a bad one at that. We lug all of our equipment with us on trips and vacations and we plan our play dates and dinners out around his routine. And we will continue to. And people can judge our decisions all they want, but my number one priority is the health of my kids, so this is paramount. And you know what? Even living without CF, you're health deterioration is "progressive". You won't have the same lung function at age 10 as you will at age 80. But you work to take care of yourself and preserve your health. I want to stop thinking about him getting sicker. Will it happen? Yes. There will be tough times ahead, no doubt. But I want to think about all of the wonderful things in life that he will accomplish and all of the wonderful things that our family will be and do and not worry so much about the "what-if's". Plastered on the back of our t-shirts this year is where my new motto will proudly be displayed - "Stop being afraid of what could go wrong and think of all that could go right!" There's still time to sign up to walk with us or to make a donation to Drew - you can CLICK HERE to do either. The t-shirts for our walks are in now too and are available for $5. We would love more than anything to have the support of as many friends and family members as possible walking with us at one of our walks this year. Philadelphia is walking at two locations this year - Citizen Bank Ballpark on April 21 and in Phoenixville on May 6. The Cincinnati walk is May 19th. You don't have to register or even raise any money (though we wouldn't turn you down if you wanted to). Just $5 for a t-shirt and you walking with us to show us your support is really what would mean the most to us. Please consider it! Just a quickie post to say that Jake's labs came back today showing that he is a carrier for DelF508 but DOES NOT HAVE CF!!!! Woohoo! !